Is safe food for the consumers still a far cry? Getting safe food is a fundamental right of the consumers. But the consumers are still not sure whether the food they are consuming is safe or not. Consumption of safe foods is highly essential because that helps build a healthy nation that is very much needed for leading the country to the desired goal or destination. Safe food is regarded as the food which is free from or has an acceptable level of contamination that may occur at any stage of production, preparation, storage and serving. Unsafe food causes illness in millions of humans every year. Food adulteration is considered a silent killer. It is perhaps very difficult to find a sector of the food industry in the country which is free from adulteration. Every food item -- like raw vegetables, fruits, milk and milk products, fish, meat and processed food-is more or less contaminated. Contamination of foods with toxic chemicals like carbide, formalin, heavy metal, chemical, textile colours, artificial sweeteners, DDT, urea and so on pose a serious threat to public health, especially in a country like Bangladesh, through damaging vital human organs like liver, kidney, pancreas, etc. Besides, food adulteration and indiscriminate use of antimicrobial compounds for the treatment and prevention of infectious diseases in poultry birds and other animals are making some illnesses incurable as the antimicrobials are developing their resistance capacity gradually. The resistant bacteria subsequently, in many cases, enter the food chain of humans, animals and birds, making them vulnerable to many diseases. Literacy about safe food among the people is poor and the level of awareness is very low in the country. Producers, traders and consumers are equally being affected by unsafe foods. And it is crucial to maintain a safe food chain for ensuring sound health for everybody and building a healthy nation. Serious outbreak of food-borne diseases had been recorded in every continent in the past decades. In many countries (especially least developed countries) the rates of food-related illnesses are increasing significantly day by day. Food safety has been identified as a public health priority at the domestic, regional and international levels. Food adulteration is now a serious public health concern in the country's present perspective. Of late, the present government had taken some measures for ensuring safe food for the consumers. The private sector also came forward with plans to ensure safe and pure food for the citizens/ consumers. They (government departments and non-government organisations) have been working rigorously to achieve that end. It is undeniable that a section of profit-monger traders remorselessly and senselessly got involved with the heinous act of mixing chemical and harmful ingredients with food and thus making it unfit for consumption. An absence of international standard accreditation labs and food testing facilities has made food safety a big challenge in Bangladesh. Besides, lack of awareness of farmers and consumers is also responsible for the availability of unsafe food. Bangladesh is losing an opportunity of exporting food items to the European countries due to the lack of maintaining international standards in food safety. Around 2.2 million people across the globe die annually due to food-borne and waterborne diseases. It is widely believed that widespread non-compliance with hygienic practices in food handling among the food producers and traders including street food vendors is also responsible for making the food unsafe. Consumption of chemically-treated foods, vegetables, fruits, meat and fishes is blamed for contracting life-threatening diseases like cancer and renal failure. Formalin is a deadly chemical ingredient widely used in fishes, fruits and vegetables for retaining their freshness for a long time by a section of greedy traders for their monetary gains. They resort to such unethical practices at the cost of health risks for the consumers. But the tendency of mixing formalin with food items has declined drastically in recent days due to increasing consciousness of the businessmen and the consumers against the harmful effect of the substance. 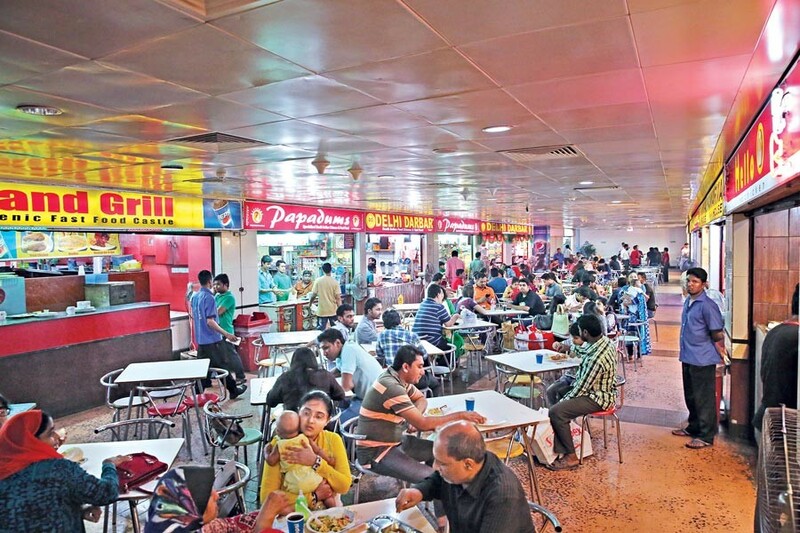 The government departments like Bangladesh Food Safety Authority (BFSA), the Directorate of National Consumer Rights Protection (DNCRP) and Bangladesh Standards and Testing Institution (BSTI) have been tasked with ensuring safe food for the consumers. They conduct regular market monitoring drives at different places including kitchen markets and eateries. Among the private sector, Consumers Association of Bangladesh (CAB), Bangladesh Society for Safe Food (BSSF) and Bangladesh Food Safety Network (BFSN) are also working separately to ensure safe food for the consumers. The Jatiya Sangsad (Bangladesh National Parliament) passed the Food Safety Act on October 10, 2013. The aim of the law is to ensure food safety for the consumers. But food adulteration and use of toxic pesticides in food remain a matter of grave concern for the country despite enactment of the law. "We have been trying to establish a modern food safety system in Bangladesh for ensuring safe food for all," said BFSA chairman Mohammad Mahfuzul Hoque. The government has placed emphasis on creating awareness among farmers through educating and training them on safe food production. The BFSA has the authority for regulating and coordinating the monitoring of food production, import, processing, stockpiling, supplying, marketing, sales, etc. Ensuring people's access to safe food through appropriate application of scientific processes and state-of-the-art technology is also under BFSA's jurisdiction. The DNCRP was founded in 2009 under the Consumer Rights Protection Act, 2009. The supplementary National Consumer Rights Protection Council has also been created under the act. The DNCRP is led by a Director General to whom the consumers can file complaints against any errant business over breach of laws on safe food and food adulteration. The DG of the DNCRP will give 25 per cent of the fine to the complainant after an investigation against any business establishment, if they (DNCRP) find the company has adulterated food or cheated with the consumers. After an investigation, the DG of DNCRP can fine the company. It is good news for us that consumers in some areas of the city now have access to hygienic street foods, as in city's Bailey Road area, due to FAO's (Food and Agriculture Organisation) Improving Food Safety in Bangladesh programme. Experts involved with the campaign against food adulteration say that excessive and indiscriminate use of pesticides could damage organic elements of the soil and crops. They recommend that the government and the private sector focus on high-yielding crops and greenhouse agriculture for ensuring safe food for the consumers. They also suggest waging a social movement for safe food. Proper monitoring at every level of food processing, from the field level to the wholesale market, is needed. Joint and guided efforts by the government and the private sector are also needed. The authorities should strengthen technical and managerial capacity in multiple sectors of the national food control system and also ensure food standards and risk assessment, raise consumer awareness and facilitate their education. They also need to ensure surveillance against food-borne diseases and enhance food safety along the agriculture value chains to help ensure safe and pure food for the consumers. There is no alternative to taking a holistic approach to address the issue of safe food for all. All from farmers to agriculture scientists, food processors, traders, the government and the private sector need to work together. For building a healthy nation, an effective value chain, production and processing of foods applying scientific methods and sufficient legal measures are just need of the hour. The country has achieved food sufficiency. But it is undeniable to accept the bitter truth that consumption of safe food for all is yet to be materialised. If we plant different fruit saplings at our respective homesteads or nearby unused land, then it will be easily possible for us to have at least formalin or chemical-free fruits. Besides, it will also help many unemployed youths become self-reliant. We come across many success stories in the media about uneducated youths or people becoming self-reliant in the country through growing vegetables and setting up fisheries and poultry farms. They not only become solvent financially but also provide or supply safe and hygienic foods to us. The government can distribute different fruit saplings to both educated and uneducated youths and others free of cost so that they can plant them on roadside land or unused land of the government. It will help them become financially self-reliant and keep the environment free from pollution and ensure supply of formalin-free or chemical-free fruits. If we stand together and make joint efforts, then it will be possible for us to ensure safe foods for all.